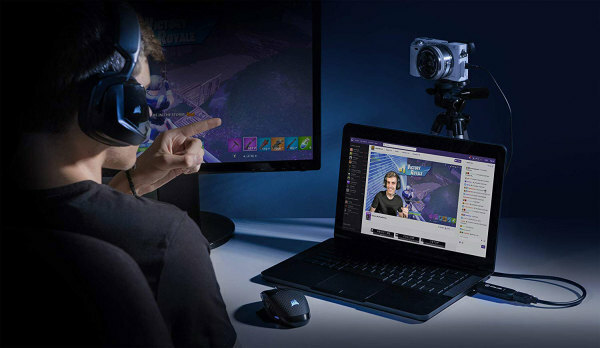 Elgato, a subsidiary of Corsair, has introduced the USB dongle Cam Link 4K for Windows and macOS, which provides users with easy live streaming. The Cam Link 4K, which is connected to a USB 3.0 port of the PC, is connected via HDMI to a suitable camera (such as a DSLR, an Actioncam, etc. ), whose video can then be streamed live to the network using appropriate software (e.g. OBS Studio or XSplit), such as YouTube or Twitch. Any camera (with HDMI output) can also be used as a webcam replacement in Skype video calls. The streamed video can have up to UltraHD 4K (3,840 x 2,160 pixels) resolution and is then transmitted at a maximum frame rate of 30 fps, 1080p video is fed at up to 60fps into the network - of course, a sufficient upload bandwidth is required. Elgato refers to a detailed list of usable cameras - with comments on the live streaming capability of the different cameras (some DSLRs switch off automatically after a certain time and are therefore not recommended). 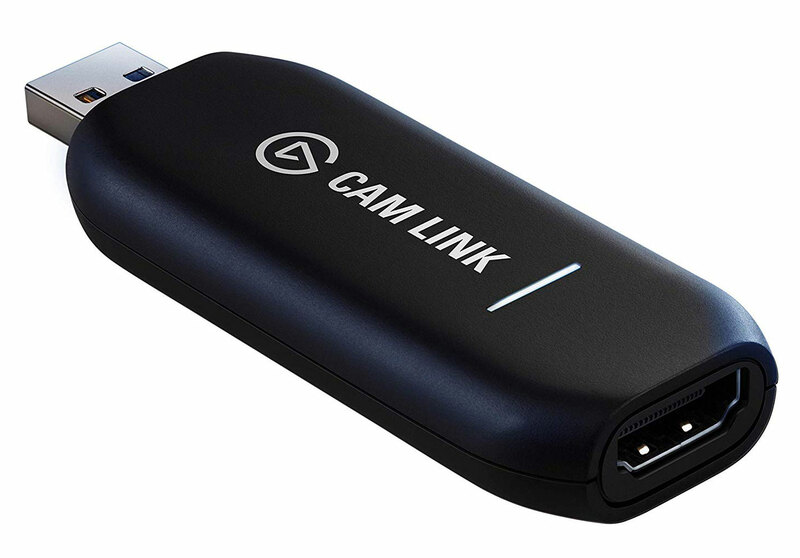 Elgato Cam Link 4K will be available at the beginning of December for around 130 euros.